• Specially designed for liquid and powder product, created the possibility of mixed. 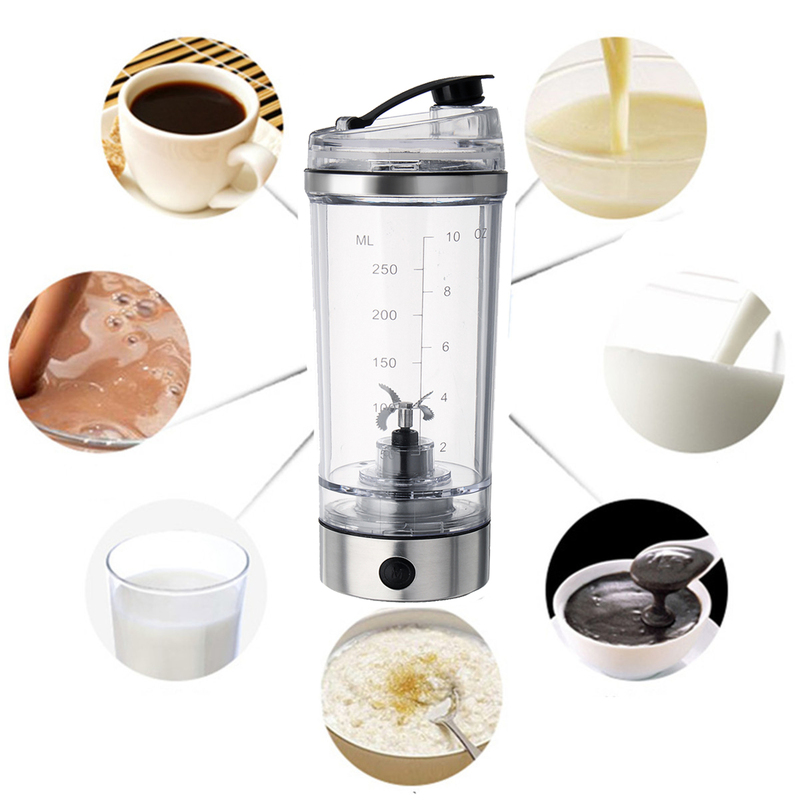 • Perfect for mixing juices, cocktails, coffees, teas, protein shakes and formulas. • Made of hight quality plastic material and stainless stain base,not easy break,strong hardness and not rust. • Detachable design,the cup can be removed, easy to clean. • Leak prevention design, completely sealed, bit does not leak, convenient to carry. • Convenient for drinking water, clean and health, can be appropriately adjust the air pressure inside the cup. • Mixing blade.High-temperature mixing blades, buckle up and down design, more uniform mixing. • Waterproof switch, professional waterproof switch, can effectively prevent into the switch. • USB charging design, durable and convenient.